Quadruple Labs: Hats off to Amitabh Bachchan sir! The first day he entered facebook he garnered more than 10 lakh LIKEs. 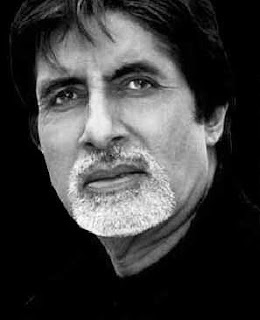 He is our evergreen and ever-young iconic actor Amitabh Bachchan sir. The consistency that Amitabh Bachchan sir carries on social media can only be compared to the commendable commitment of the sun to light the earth every morning. Generally, his posts have LIKEs, COMMENTs and SHAREs in numbers of thousands or ten thousands. I had assumed that Amitabh sir wouldn't be able to go through any of these comments but to my surprise I was totally wrong. I was going through some of his latest facebook posts and found that in one of the posts he has addressed the fact that he had skipped the post number from 288 to 299 and has wholeheartedly accepted it and apologized for the mistake. Not just that, in one of the comments someone has said that Dilip Saheb is a better actor than Amitabh sir. For that too, he has replied that he definitely endorses the same viewpoint and shares his respect for Dilip Saheb. In both these instances, he has mentioned the name of the person who has pointed out the mistake in skipping the number and the one who mentioned that Dilip Saheb was a better actor. Being so busy at an age where he is, he has patience and time to read through the comments and answer them. I was bowled out by his humility and his commitment to answer his fans and that too, addressing the right person. Many of us feel that we seldom find time to answer the number of people around us who are connected to us by relations. Here is the legend Amitabh Bachchan sir who has been cumulatively posting on facebook and tweeting every now and then but who just doesn't stop there. He takes care to revert to the questions from his fans. Only a busy man can find/make for more work at any point of time. Amitabh Bachchan sir has proved that it doesn't take age or the busy schedule to steal away the commitment and the dedication from the soul of a person who has made up his mind to work hard.